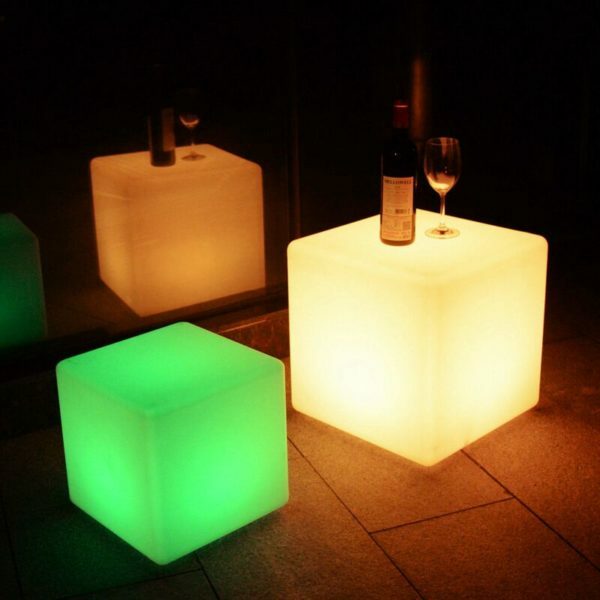 Categories: LED Light Cube, LED Furniture. 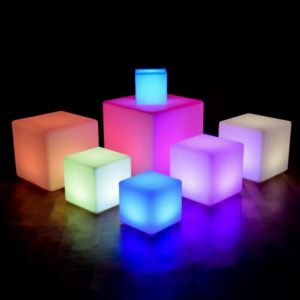 Tags: 20'' LED Cube light, Multi RGB color changing light. 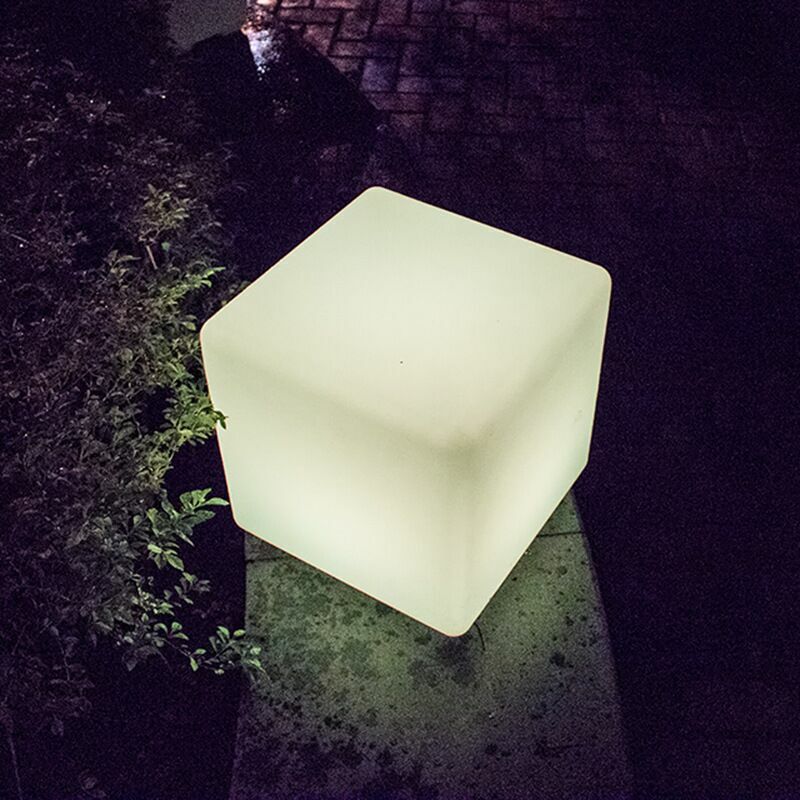 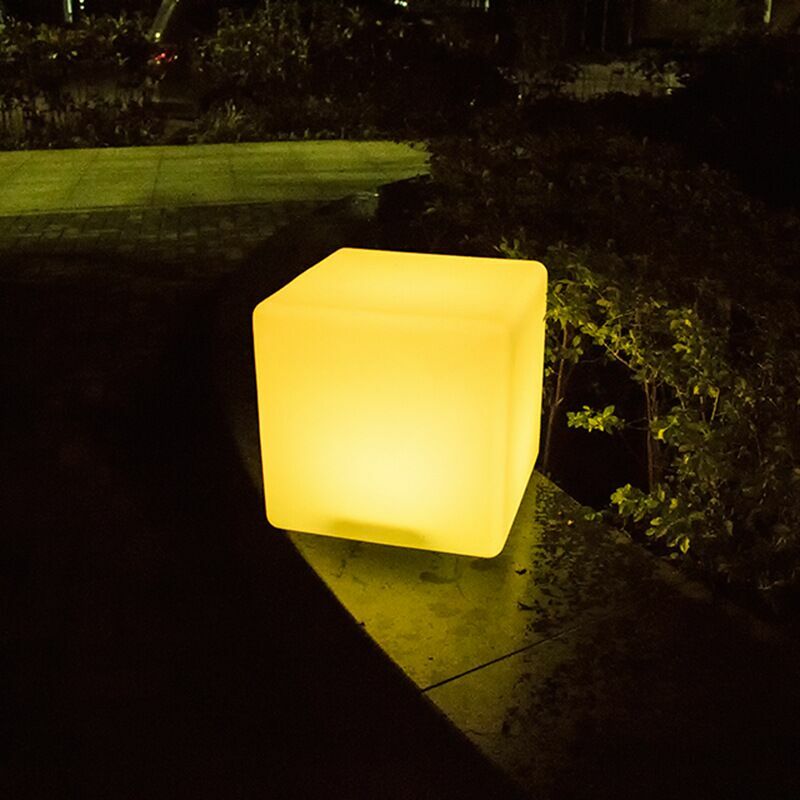 The 50cm LED Light Cube adapt PE material outside, easy to installation. 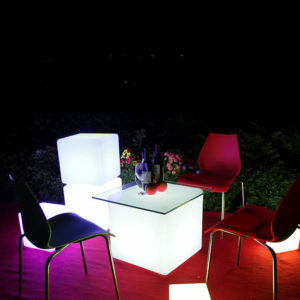 Good to save container space, with soft light color, also can use indoor, safety for children and adult, bright, romantic. 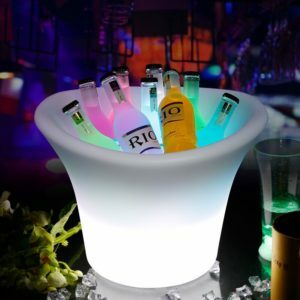 With rechargeable battery, charge 4-5 hours can work 10-12 hours. 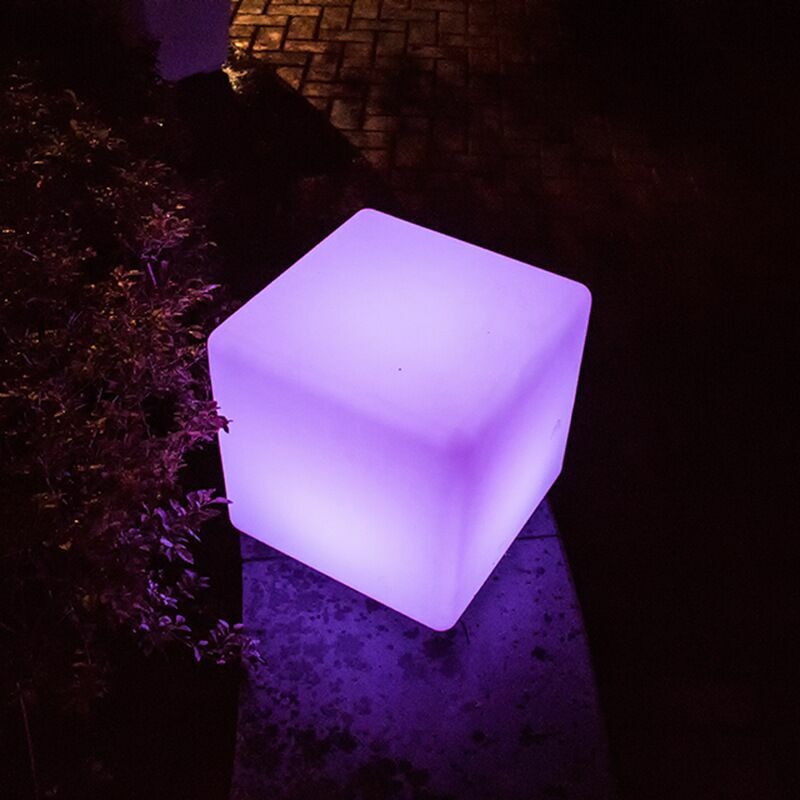 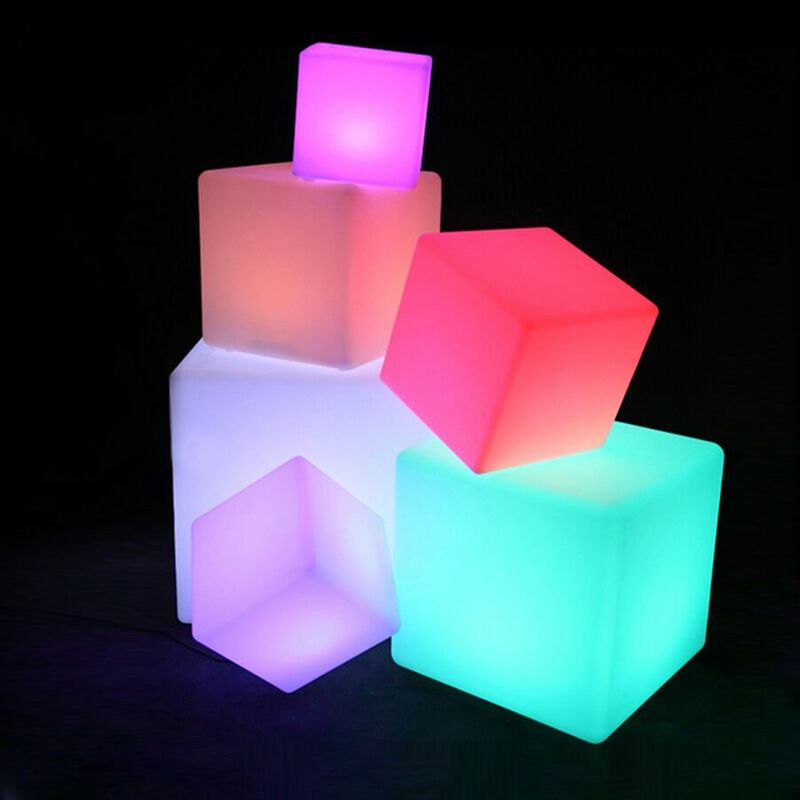 The 50cm LED Light Cubes are multi colors change & color selection. 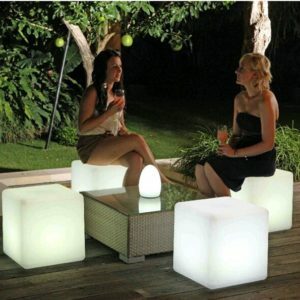 Remote control & sunproof & waterproof. 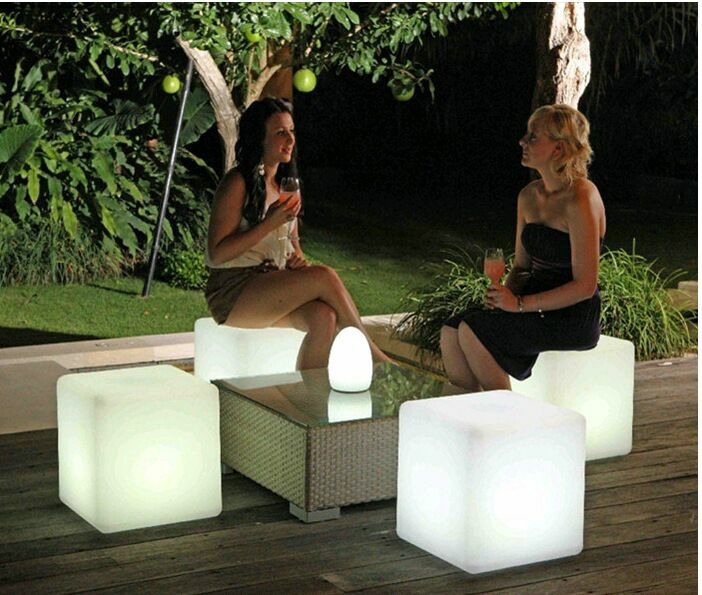 Universal AC plugs including US,UK, EU, AU types content with your different requirements fly. 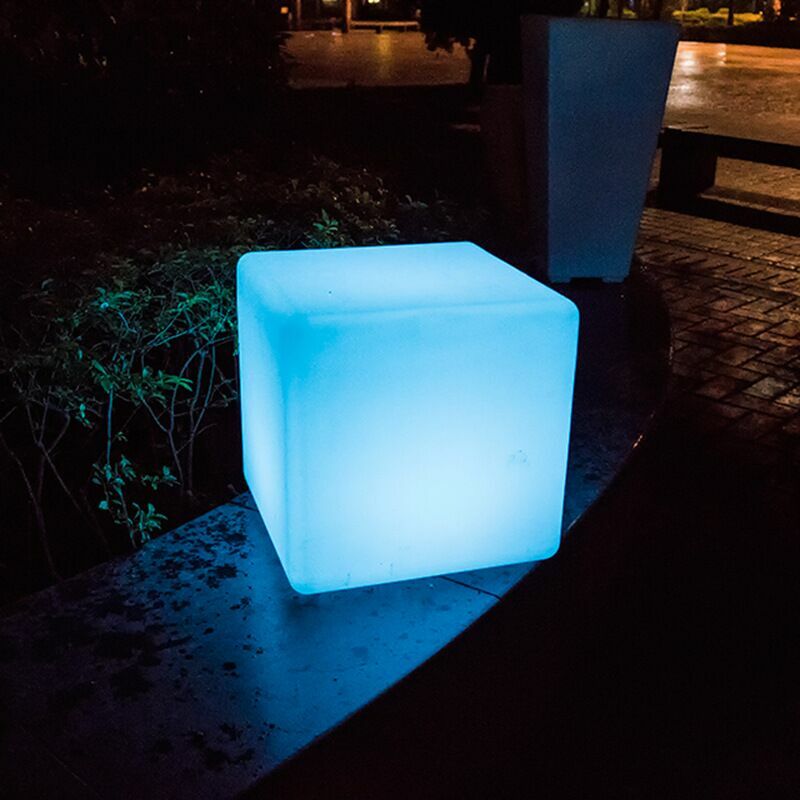 Application at Swimming Pools, Garderns and other public areas Creating special effects in hotels, Private villas, Private courtyard, restaurants and night clubs, Events/Parties/Product Launches/Exhibition Display/Retail Display/Wedding Ceremonies/Corporate Displays.